Yeah n what do you call people who make a prestiege living from licensed murder? I don't get no other peoples tax-money enough to put up no counterads in no London terminuses. There useter be a vulgar rugby song ending "My uncle he does the abortions, my God how the money rolls in"
Yes we do call them that. Mother, sister,friend,Auntie,Niece,Cousin,Collegue. This is why the advert, like most pro-abortion ads is evil. A pretty packaging of truth, enclosing a package of death and despair. Can you hear the devil laughing? If you disagree with this you must hate women-right? Because just looking at the facade of this ad-is their anything contrary to church teaching here? Are we not supposed to love the sinner, and hate the sin? If Rachael's Vineyard had their logo in the corner, it would be a great advert. But because the logo is that of people who make their business slaughtering the unborn it is nauseating.Lord have mercy! The unintended irony is terrible. What do we call the baby who was violently murdered by way of an abortion? Daughter. Sister. Son. Brother. Could have been a mother ..... a father. Would have been a friend. What do we call men and women who organise and carry out the butchery of many children in their mothers' wombs, for profit, and try to normalise their evil? ... Sadistic murderers. 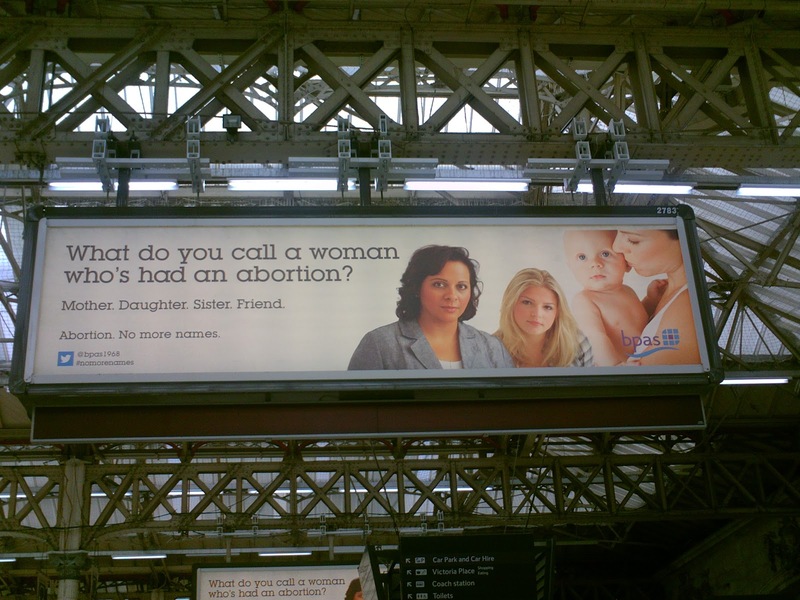 A mother who has had an abortion is a mother of a dead child. It would be the same for the rest of the family: an uncle/auntie/cousin/grandmother of a dead nephew/niece/cousin/grandchild.